First off let’s talk about my recipe. I do think the sugar/oil did alter some of the notes in these FOs. It was harder to pick out individual top and bottom notes. I feel like many of the top notes disappeared in this application, but still the FO’s are lovely. Previous S.O.A.P. Panel: Sneak Peak Next Very Busy and A Giveaway! 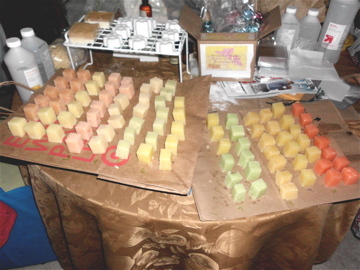 Interesting how the scrub recipe changed the scents some! It’s so fun reading your thoughts on these!